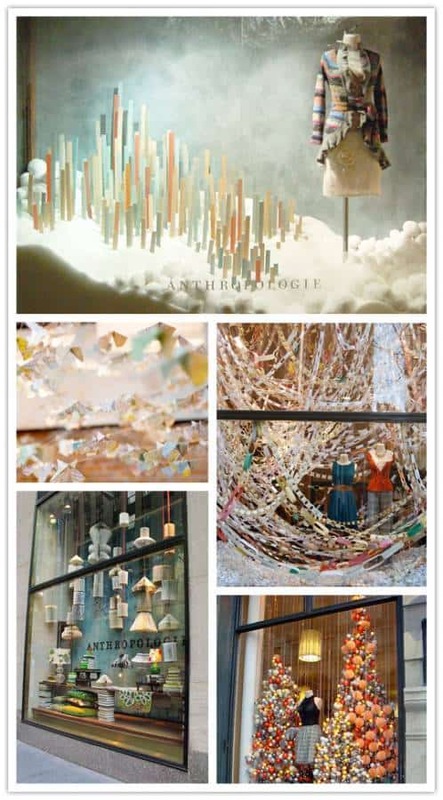 I think everyone feels inspired when they look at Anthropologie displays and windows. The whimsical, imaginative, and innovative designs make great idea starters for fantastical wedding decor, so I figured that today, I’d share some of my favorite windows I’ve seen. 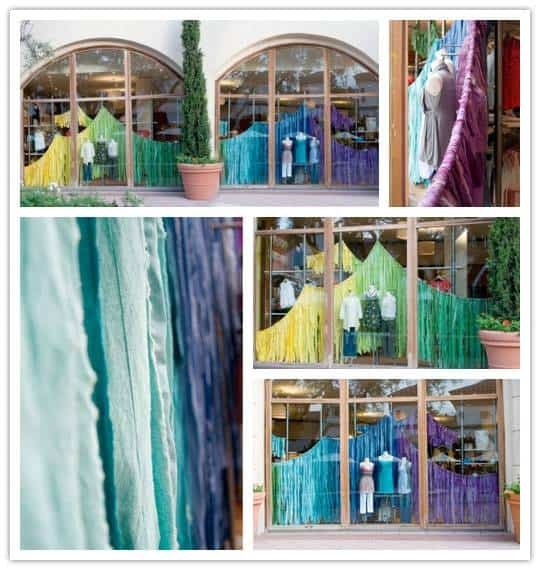 My all time favorite was the Spectrum display that Ruthi Auda created for Newport Beach’s Anthro with dyed, raw edge ripped fabric tied to a draped rope. The look is just breathtaking. If you want to recreate it, I’d suggest buying muslin in bulk, then ripping it along the grain in 1″ wide lengths. Afterward, dye it in batches with Rit and arrange in gradating color blocks. 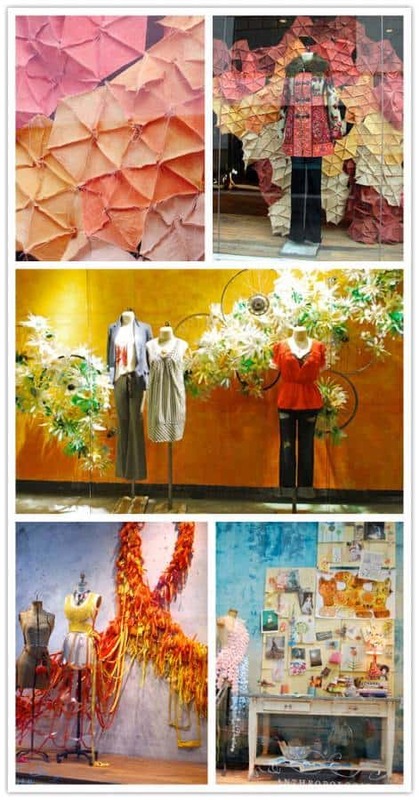 From paper airplanes made of vintage maps to various honeycomb paper forms, I think the biggest influential part of Anthro is that they always succeed in surprising the passerby with the depth of detail and the unexpected use of materials in the display. Consider this when using them as a benchmark for your wedding decor inspiration, as well as their dynamic hanging style that makes for an aesthetic spectacle! I worked at the Anthro on 5th Ave. in NYC and we had an amazing visuals staff. They once created a beautiful flowing white dress out of paper and we had people coming in all the time asking to purchase it. When we told them that it was made of paper, they weren’t deterred and demanded that we sell it to them.